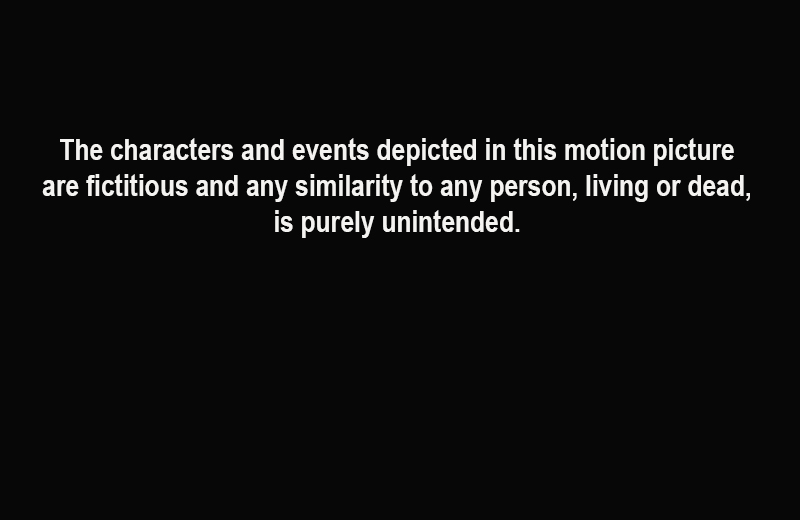 I’m sure you’ve seen that statement at the tail end of the movie credits — as you waited to see if a blooper reel would end off the film; ever wonder why it’s there? 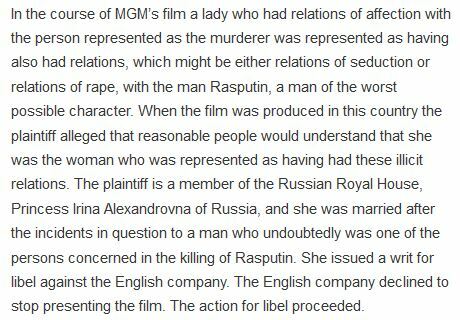 Well, it resulted from a 1934 lawsuit, Youssoupoff v. MGM, in which the US movie studio was sued in Britain. MGM lost, by the way. You’ve likely never seen the movie, right? Well, then this is your luck day. But what I find interesting is the way that the studios responded, by coming up with that now familiar rider at the end of the credits, to cover them from further claims that the movie defames someone. And, in particular, it’s the way that this illustrates structure and agency that catches my attention, as well as this thing we call happenstance when they all intermingle. For there’s no doubt human beings (e.g., screenplay writers and studio executives) at work on scripts, so we should presume that these pieces of writing to be intentional products, right? After all, people have a story to tell and so people write them, read them, comment on them, re-write them, comment some more, re-write some more, making the final script a carefully, dare I say intentionally produced piece of writing. If anything, there’s likely way too much agency in any one script. So here we start to see some problems with the commonsense model of seeing cultural products as the results of intentions (and, if we study them just right, or so the argument goes, we can recover the meanings of their authors); for the thing that gets to the screen is actually a highly collaborative affair — not just between screenwriter and director, but often between the multiple screenwriters (not all of whom get a credit), maybe the novelist on whose book the movie is based, let alone the actors who improvised during filming and the many people behind the scenes that make it all possible. (Did you know that “The Wizard of Oz” had 5 different directors by the time it was finally completed? And how many writers…?) So, seeing the movie as intentional sort of misses the point, for even if we assume that a single agent has motivations what we see on the big screen (as in the case of any text, we could argue) is the result of so many social actors that it might as well be judged free of intention, inasmuch as the motivations and goals of all those involved (i.e., I want it this way but you want it that way) inevitably cancel each other out and get all mixed into one big mess in completely unforeseen ways. And when you add to that the experiences and wishes of the millions who see it in the theater, interpreting it as they wish, one of whom might have had a life similar to the one depicted on screen…, well, you arrive at a position of understanding how a product of human intentionality can come to exists on a structural level, with no single actor’s intention driving it. The similarity is unintended and thus merely coincidental. And that’s something I don’t think we study enough, in the study of religion; we’re so concerned for the individual meanings of the participants, with their perceptions and motivations, that we fail to understand them (like all human beings — us too!) as being much like that movie: situated in just such a structural situation — a situation where, despite our hopes and dreams, a completely unintended result often ends up happening. Even the person themselves might be an unintended result, if you know what I mean. The challenge, then, when studying human affairs, is to figure out how to take happenstance into account and not be too trusting of the neat little narratives that the people we study often offer to us in reply to our questions — stories concerning what something means or what it does or where it came from. For that very narrative may itself be their way of grappling with the unintended that surrounds them, with the fact that the world in which they (and we) live is well beyond anyone’s control. This entry was posted in Faculty Blog, Relevance of Humanities, Religion in Culture and tagged agency, Defamation, Happenstance, Hollywood, intention, Menaing, MGM, Rasputin and the Empress, Russia, Slander, structure by Russell McCutcheon. Bookmark the permalink.